In this tutorial I demonstrate how to create a simple breakout strategy together with a target, stop and trailing stop. The target and the stop are based on a multiple of the average true range (ATR). The tutorial also shows a way of drawing the various levels on the chart to help you visualize what is happening. The continuous red and green lines delineate the channel. The stops are shown as red and green lines. The trailing stops have not yet been added in this image. Since the ATR value varies, so does the target value. With the stop I demonstrate how to ensure that the stop gets ‘tighter’ even if the ATR increases in value. The trailing stop is based a multiple of the minimum move of the instrument on the chart. The trailing stop functionality looks for price to move a certain distance from the entry price before starting to trail by a user defined amount. 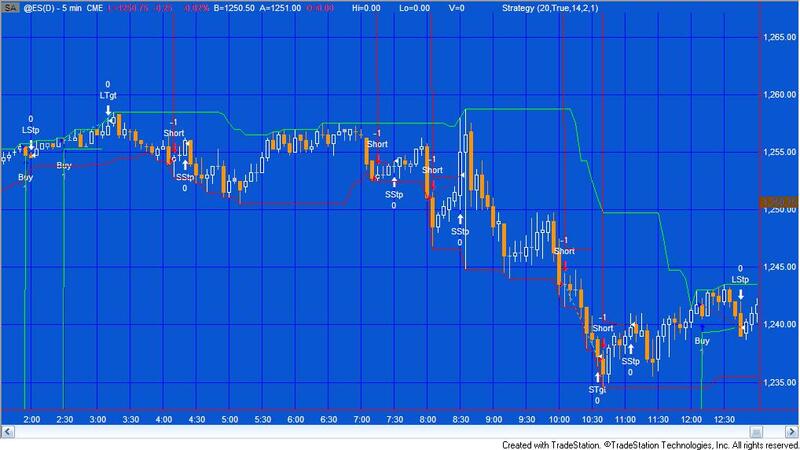 Chart after trailing stop functionality has been added to the program. 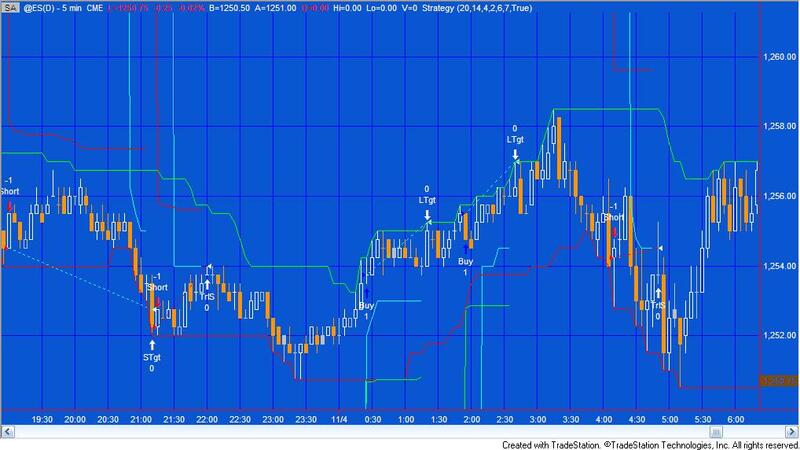 The trailing stops have cyan colored lines. Once the parameters look correct, I recommend that you turn off the drawing objects by making the user input: DrawLines equal to false. The drawing objects are drawn using the TL_new reserved word. Although some of the lines look like continuous plots, in reality they are made up of many tiny straight line segments. The product is available for immediate download for $39.95.